The aim of the present study is to document the interdependence between Johannesburg and foreign-owned companies over time with a view to understanding the present-day context of foreign companies’ presence and impact on the city. The study methodology has been multipronged, relying on existing data and literature but is predominantly based upon open-ended interviews with stakeholders viz. CEOs of foreign firms, policymakers as well as local firms that are either suppliers to or competing with foreign firms. The remainder of this study is divided into three broad segments. The first explores the role of foreign firms in the creation of modern day Johannesburg, providing historic background and context to the study. The second segment constitutes the core of the research with findings on the current relationships between Johannesburg and its foreign firms, while the third and final segment reviews the policy implications for the future. Globally, South Africa is ranked 74 among 190 economies in terms of ease of setting up new business according to the latest World Bank annual ratings. In 2017, the city moved up two places in the 2016/17 Global Competitiveness Index to rank 47th among 138 countries covered by this Index. Johannesburg, fondly nicknamed “Jozi” by South Africans, is the most populous city in South Africa. It has an estimated area of 335 km2, while the City of Johannesburg Metropolitan Municipality (CJMM) is estimated at 1,645 km2, covering surrounding areas like Sandton, Midrand and Soweto. (Dept. of Local Government, 2017). 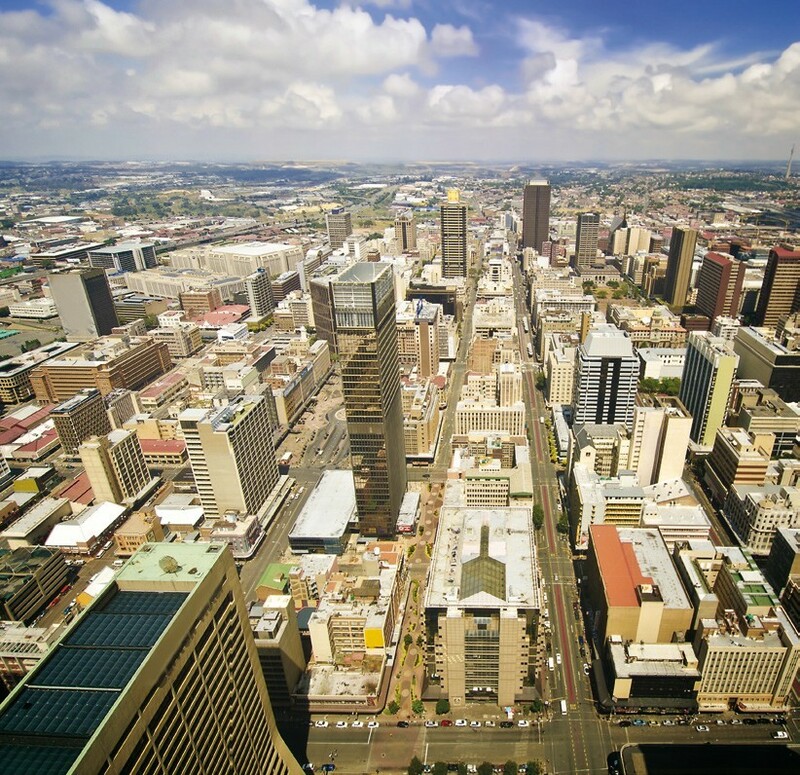 Johannesburg is the provincial capital of Gauteng, the smallest but wealthiest province in South Africa. Gauteng accounts for only 1.5% of South Africa’s land area but is its most urbanized province with over 24% of the national population and it generated 35% of the country’s GDP in 2016 (StatsSA, 2016). 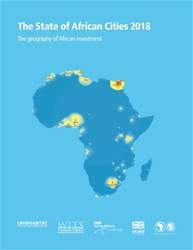 As shown in this study, Johannesburg and its surrounding area constitute a financial hub for the entire African continent and are home to affiliates of multinationals from all parts of the world (Wall, 2017: 8). 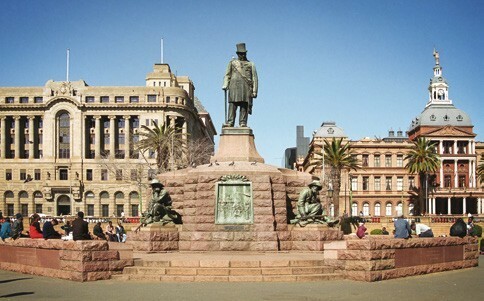 Johannesburg is a young city, also known as Egoli - the city of gold - as its establishment and rise are linked to the discovery of gold on the Witwatersrand in 1886. A rapid growth of the Johannesburg population (then known as Witwatersrand in Transvaal) ensued due, initially, to the migration of Europeans from the British Cape Colony and Europe, particularly from Britain (Robertson, 1958). The mining operations also led to large-scale increases in the multi-racial, mostly black, population brought in from outside Transvaal and later from China to provide manual labour in the mines. The larger companies like Consolidated Goldfields and Rand Mines were established to exploit the mineral wealth and were foreign-incorporated and listed on the London Stock Exchange. While the large mines were predominantly financed by British capitalists, the technology and know-how came from the USA, notably Nevada, where deep-level mining technology had been developed (Nkosi, 1987). American capital soon followed through the formation of the Anglo-American Corporation in 1917. Since then, foreign firms have continued to play an important role in the city’s economy. Johannesburg developed as a city for most of the 20th century within a context of institutionalised racism known as apartheid, with areas reserved for whites serviced with all amenities, while those for black, Indian and coloured people were neglected, overcrowded and with few opportunities for education or employment. The foreign firms in Johannesburg reinforced the apartheid system with ownership and all positions of responsibility held by white males. These foreign firms benefited from the apartheid laws that enabled white-owned companies to control the non-white workers, keep their wages low and reap immense profits. This resulted in the city and the country developing as one of the most unequal in the world. Although the 1960s saw initial calls for disinvestment and economic sanctions against South Africa, they did not meet with much success as most of the Western countries that predominantly owned the foreign firms in South Africa did not support the call. The apartheid government and economy finally fell to international pressure with the call for divestment gaining momentum in the 1980s and US federal legislation in 1986. With South Africa’s most important trading partners like the USA, the EC, and Japan imposing economic sanctions, many of the foreign firms found it no longer possible to carry on with ‘business as usual’. Consequently, South Africa experienced considerable capital flight from 1984 onwards because of the disinvestment campaign and the repayment of foreign loans (Knight, 1990).